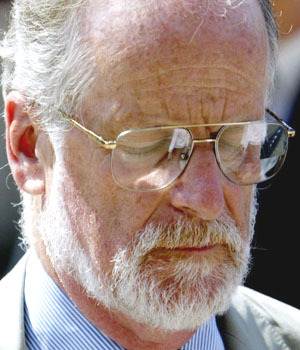 "A group of doctors which has been investigating the death of government scientist Dr David Kelly wrote to the Chief Coroner today calling for his inquest to be resumed and the suicide verdict re-examined. In a letter to Judge Peter Thornton QC, they said there had been ''deficiencies in legal processes'' which meant Dr Kelly's inquest had never been formally closed, no final death certificate had been issued and no cause of death had been confirmed by a coroner. They also said that the first police officer at the scene of Dr Kelly's death had changed his account of how his body was positioned, bolstering claims that it had been moved". LONDON — Attorney General Dominic Grieve on Thursday ruled out asking the High Court to order an inquest into the death of government weapons inspector David Kelly. Grieve told MPs in the House of Commons there was "overwhelming" evidence that Dr Kelly took his own life and none to support claims he was murdered or "any kind of conspiracy theory". The scientist's body was found in woods near his Oxfordshire home in 2003, shortly after he was revealed as the source of a BBC report questioning the accuracy of a government dossier arguing the case for war in Iraq. "… I have concluded that the evidence that Dr. Kelly took his own life is overwhelmingly strong. Further there is nothing i have seen that supports any allegation that Dr. Kelly was murdered…"
Britain's attorney general may finally allow a full inquest into the death of David Kelly, a weapons inspector who died under suspicious circumstances shortly after being identified as the source of a leak that embarrassed the British government ahead of the invasion of Iraq. A probe carried out shortly after Kelly's death -- known as the Hutton inquiry -- was made secret by the British government. Earlier this year, the new coalition government unsealed those records, showing that the inquiry had concluded Kelly's death was a suicide. Kelly’s death — said to have been a suicide — has stirred controversy, as it came on the heels of testimony to the House of Commons about a memo which purported that Britain had “sexed up” a dossier on Iraq’s alleged weapons of mass destruction. A Parliamentary inquiry ruled that the death had been suicide, though it also included testimony from a former British ambassador who quotes Kelly as having said, “I will probably be found dead in the woods” if Iraq were invaded.